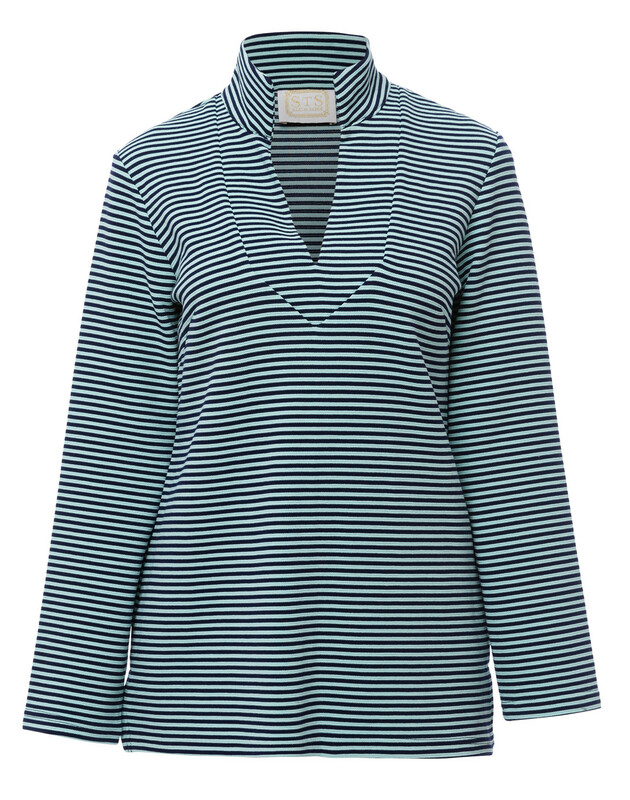 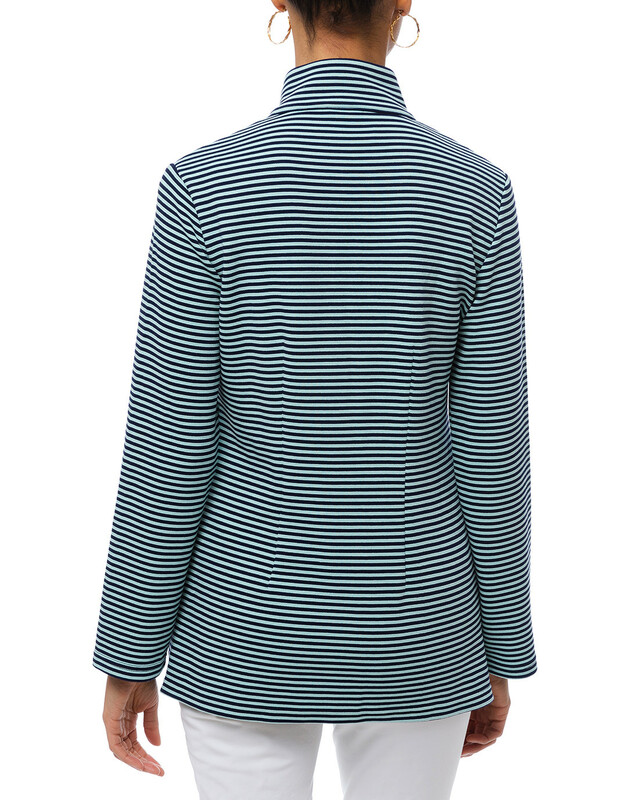 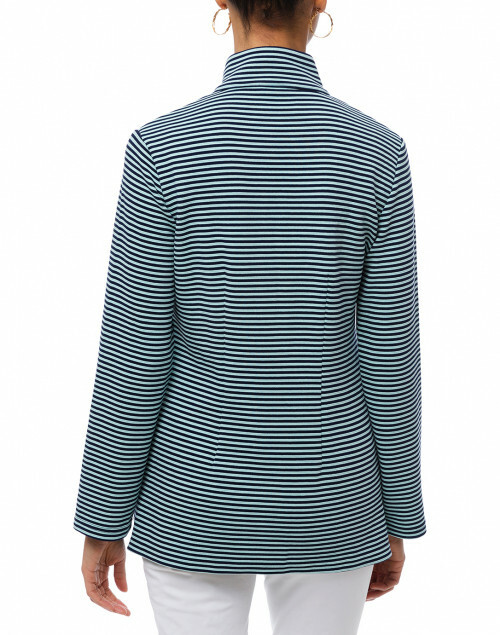 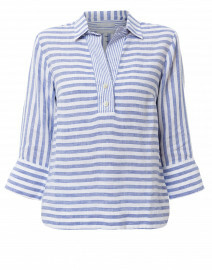 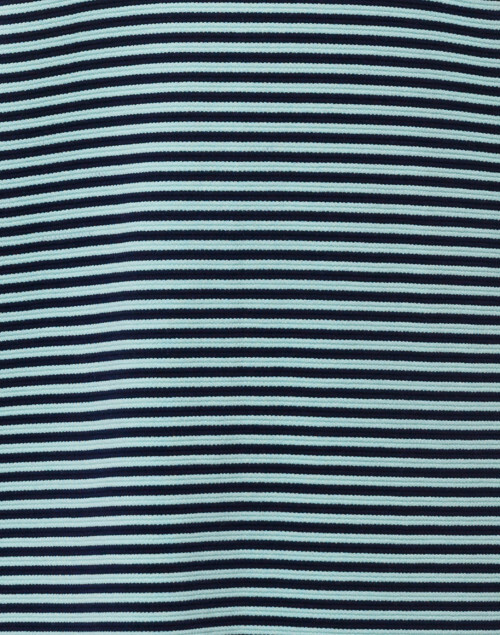 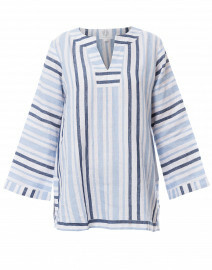 Sail to Sable's aqua and navy striped top is an easy pick for relaxed weekend styling. 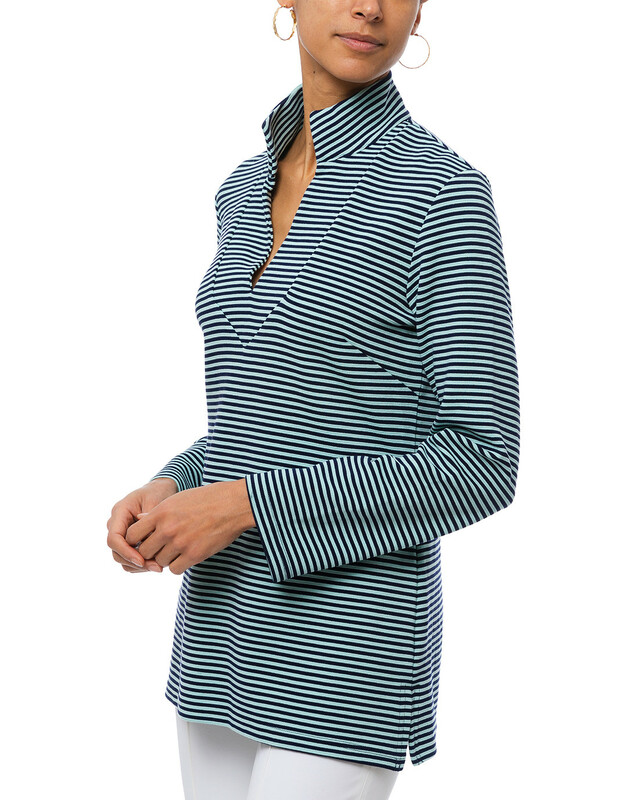 It's shaped for a relaxed fit with a high neck and long sleeves, and finishes in a straight hem that is slit open for ease. 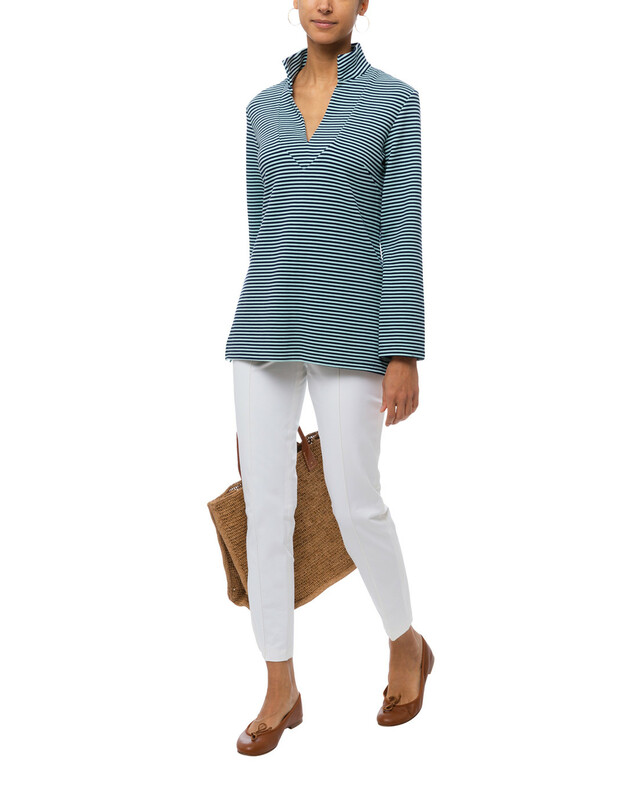 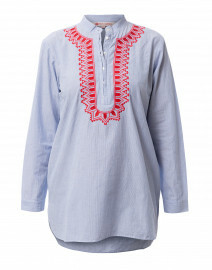 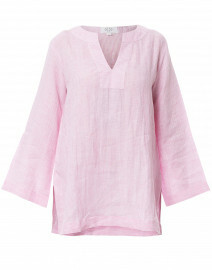 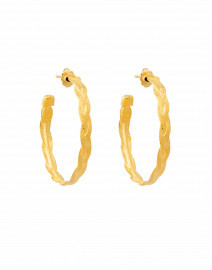 Wear it with white pants and a straw tote for a relaxed weekend look. 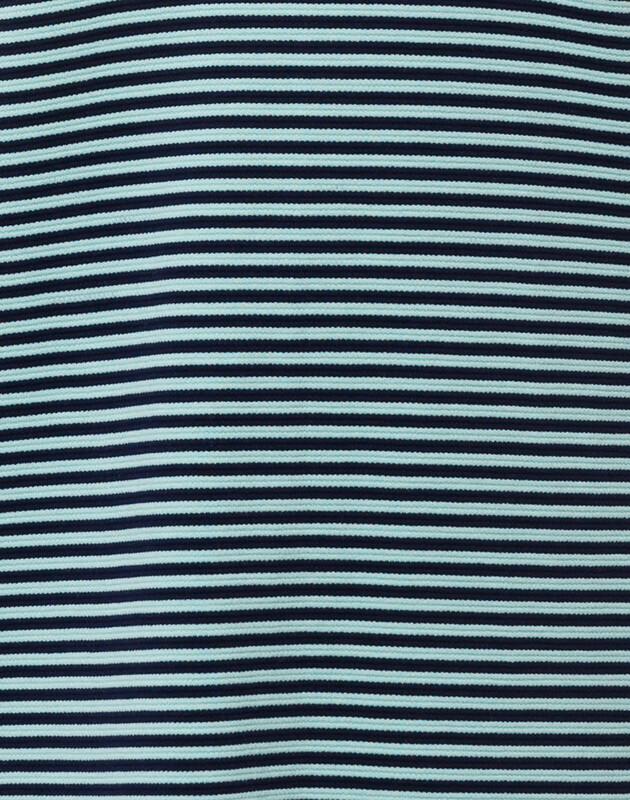 Length 26" 26.5" 26.5" 27.5" 27.5"
Bust 34" 36" 39" 42" 44"
Hip 40" 42" 44" 46" 49"
Sleeve Length 22.5" 23" 23" 23" 24"